The Roots & Erykah Badu will be performing at Marymoor Park in Redmond this Thursday and after the show, you can catch them partying at Neumos. 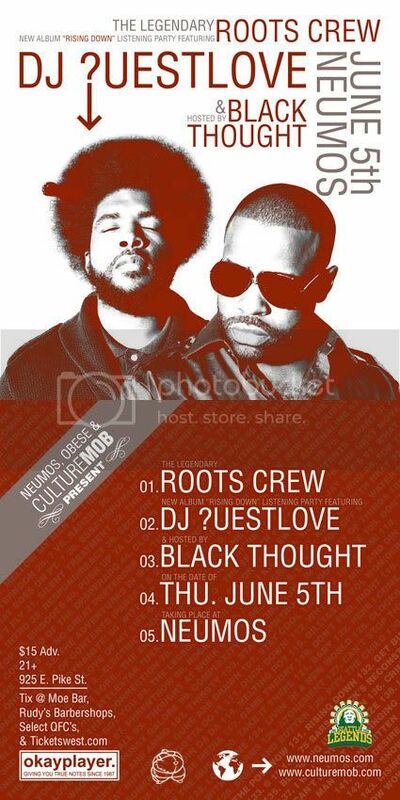 ?uestlove on the decks and Black Thought with hosting duties. Brought to you by Obese, CultureMob and Frank151.